Pra Somdej Gan Pai Pim Yai Nuea Pong Ittijae Pasom Nuea It - Luang Por Jong Wat Na Tang Nork - released in Year Circa 2483 - 2493 BE, this Pra Somdej amulet is an exemplary exhibit, and extremely attractive in appearance. 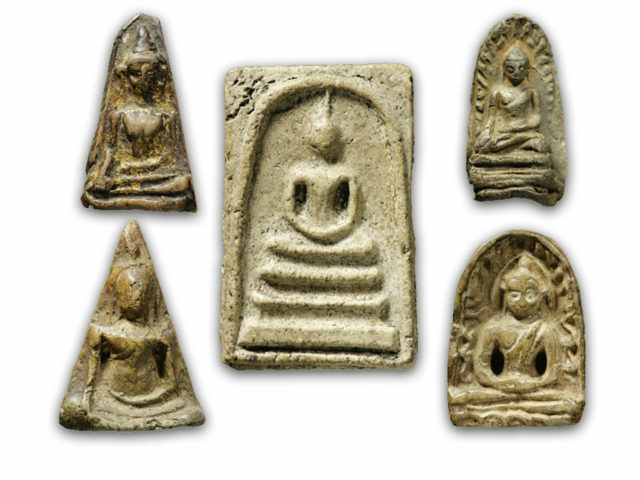 Luang Por Jong made Pra Somdej amulets sometime around 2485 BE. 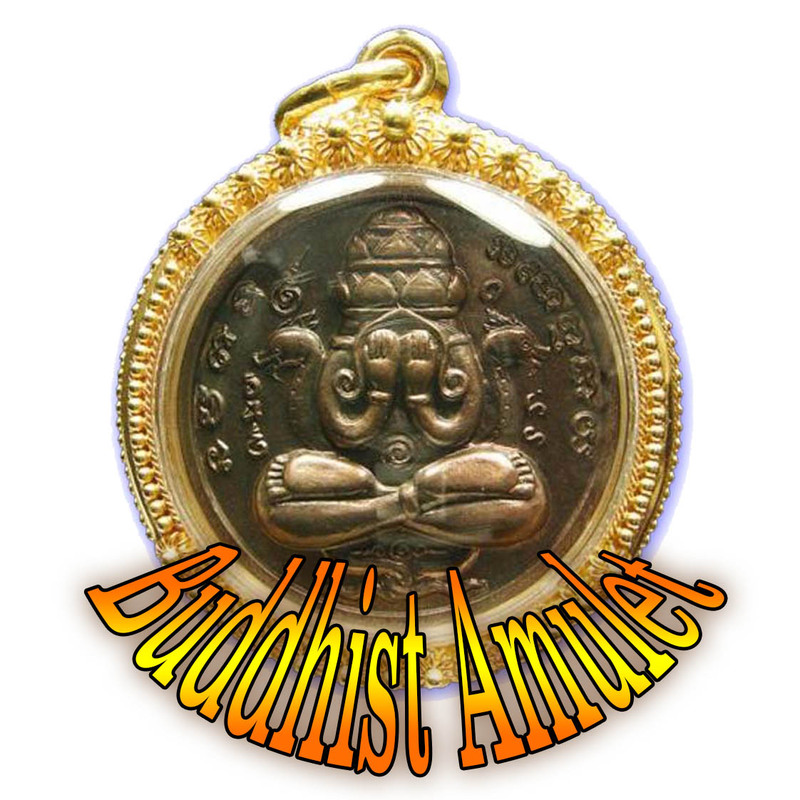 His era of making amulets began around 2483, and continued 2507 BE the year before Luang Por passed away, in the year 2508 BE. 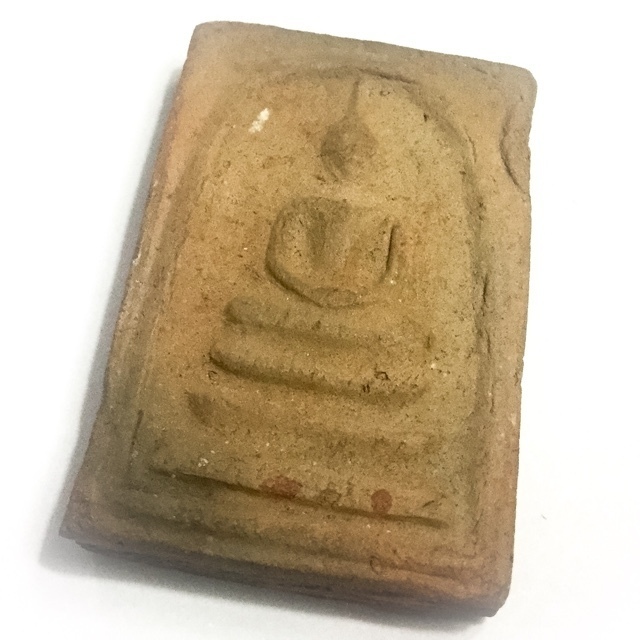 This amulet stands out from the crowd with its reddish Color, which results from the high concentration of Ittijae Powders and Red Clays from ancient temple and chedi stupa bricks, and from herbal ingredients, in combination with Pong Bpatamang, Puttakun, Trinisinghae, Maharach, completing the mix of all five Sacred Powders used in the making of Pra Somdej according to the Ancient Dtamra found by Somdej Pra Puttajarn Dto. The front face of the Votive Tablet features the classic image of the Pra Somdej Wat Rakang Kositaram type Buddha Image. 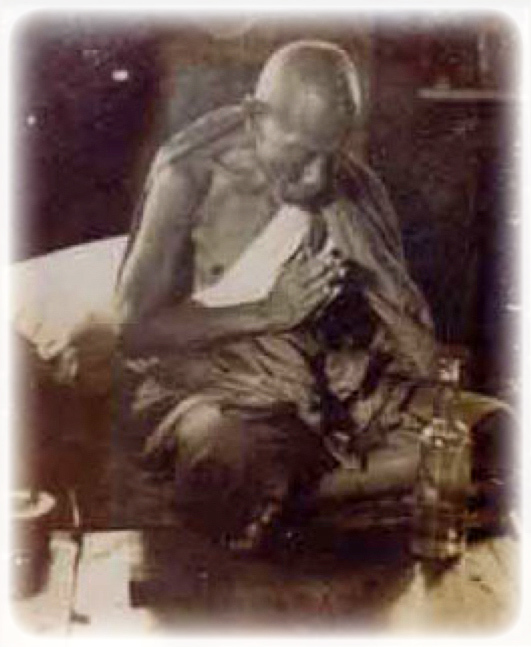 The Buddha is seated within an arch, upon a 3 tiered dais. Above Pic; the rear face of the amulet has the 'Yant Gan Pai' (Protect Against Danger) indented into the clay surface, with the words 'Gan Pai' and 'Luang Por Jong' embossed. The baked clay is visibly forged by temperature change, and from storage in the Kru Chamber, as can be seen on the surface of the rear face.